With vast quantities of data being generated, a few start-ups are redefining the way it is stored and managed. Reliance Entertainment Digital, part of the Anil Dhirubhai Ambani Group, creates online games and provides movies on demand. The company claims that, at any given moment, it has a million active gamers across the globe. CEO Manish Agarwal maintains it is a high-risk business, where the single most important rule is: No Glitches Allowed. "If a customer in New York downloads a game but is not able to start playing immediately because there are problems at my data centre, it can be the death of me," he says. "It can mean negative reviews on the web, which can go viral and I am finished." Thus, to keep the games running seamlessly, the company has to be up to date and error free all the time in managing the huge amount of data the gamers generate. To do so, Reliance Entertainment Digital has been subscribing to the public cloud service of global cloud computing leader Amazon Web Services. But recently it also roped in a second, Indian company - a start-up called NxtGen Datacenter & Cloud Technologies, begun in April 2012. The latter provides Agarwal a private cloud service, as against Amazon's, which is a public one. (A public cloud service keeps multiple clients' data within a common storage infrastructure, while a private one allows data storage in dedicated slots for individual clients.) NxtGen also has a remote monitoring system for the data stored and an early warning system if the data centre starts overheating or faces other problems. 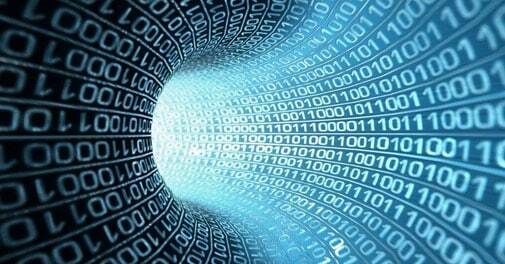 Online data is growing exponentially every second and with it the need to store and manage it effectively . More and more companies are being overwhelmed by the sheer volume of data they are producing and which they need to archive - both by the cost of storing it, as well as the space needed to do so, and are seeking help from data storage outfits. "There is very high growth potential for start-ups in this segment, especially those which can come up with disruptive technologies," says Sid Deshpande, Senior Research Analyst at research firm Gartner India Research & Advisory Services. "Companies want storage solutions which can be scaled up or down easily while optimizing costs." Data storage companies store customer data in two ways - either at their own centrally managed facilities or at data centres set up within the customer's premises. But a large number of companies want a combination of both, depending on what suits their budgets, the requirements of particular business applications and also the critical value of different kinds of data. This is where start-ups have the flexibility to make a difference. While market leaders in data storage in India such as Reliance Communications or NetMagic Solutions stick to their own specialisations, newcomers such as NxtGen offer a combination, as well as innovative solutions. NxtGen, for instance, has formulated a high density storage solution by which data that earlier took up three racks can be fitted in just one. "This brings down hosting charges for customers," says A.S. Rajgopal, CEO and Managing Director, NxtGen, who set up the company with Rs 15 crore borrowed from friends and family. Again, keeping the temperature right at data centres, as data keeps flooding in, is critical - half the cost of running a data centre is on power. Here too, NxtGen has created a new design which (among other elements) has the air-conditioning fitted within the hardware equipment, instead of externally, which reduces the cost of cooling by 30 per cent. 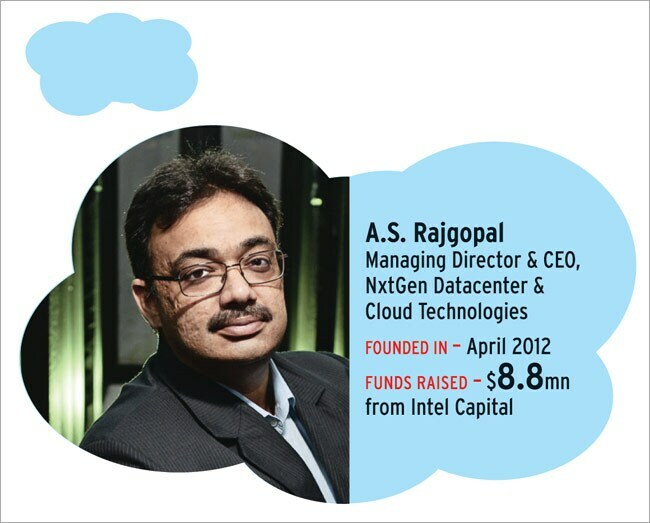 "Most companies will go for the data centre which has the most efficient cooling system," says Rajgopal. "A lot of innovation in data storage, both in India and in the US, is coming from start-ups," says Gartner's Deshpande. 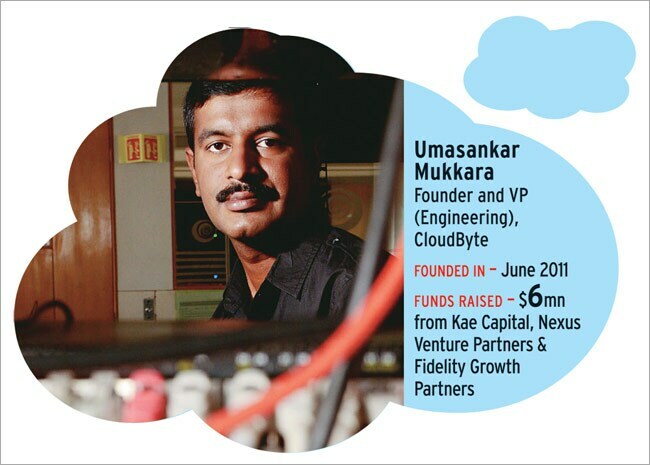 Another such company in India is CloudByte, founded in June 2011. "Optimum use of resources can slash storage costs by 50 to 60 per cent," says Umasankar Mukkara, Vice President (Engineering), who set up the company together with Felix Xavier, now its Chief Technology Officer. "Most existing cloud solutions only focus on reducing the number of servers." CloudByte has already patented a multi-tenant technology which guarantees the performance of multiple applications hosted on a shared storage platform. Among the customers using it is another, much bigger data solutions provider, Netmagic Solutions. "We are among the first in the world to allow customers the choice of multiple IOPS slabs to find the right storage performance fit for their applications," says Sunil Gupta of Netmagic Solutions. IOPS stands for Input/Output Operations Per Second, a performance measurement tool for storage devices. Different types of applications have different processing performance requirements - earlier separate storage infrastructure was needed to run applications which called for exceptional performance. Running multiple applications on a shared infrastructure reduces the requirement of hardware equipment like storage controllers and hard discs, leading to cost savings in terms of power. One major roadblock for the start-ups in data storage, however, could be winning the trust of clients, purely because this function is so critical for companies. NxtGen has about 40 customers and CloudByte four big ones, including Netmagic Solutions and Citrix Inc. But most big companies still prefer working with established companies. "Not having a proven brand name is a challenge. If the same technology we have had been brought out by market leaders such as EMC or NetApp, its adoption would be much faster," says Mukkara.